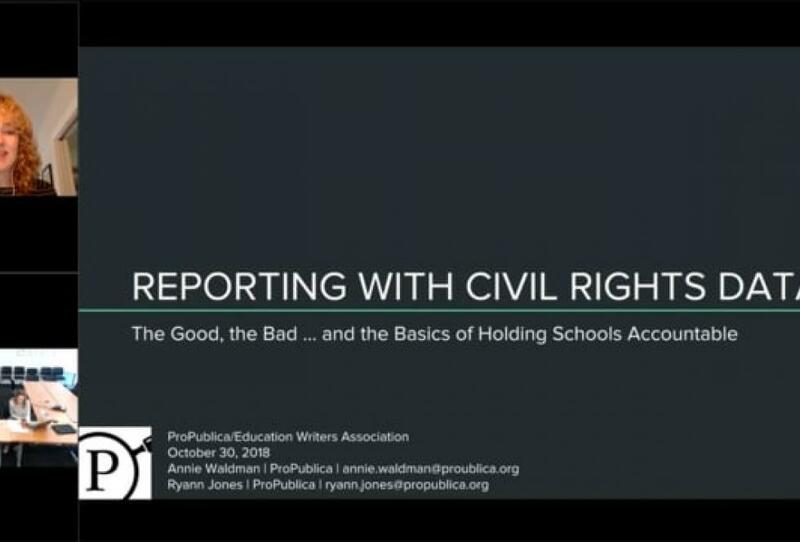 The Education Writers Association is pleased to announce the launch of the 2018 National Awards for Education Reporting. Journalists may submit entries from 9 a.m. EST Nov. 15 through midnight PST Dec. 15, 2018. Professional journalists who have published work in 2018 on any educational topic in any medium are encouraged to enter the contest, which features a total of 19 prizes with cash awards ranging from $1,000 to $10,000. 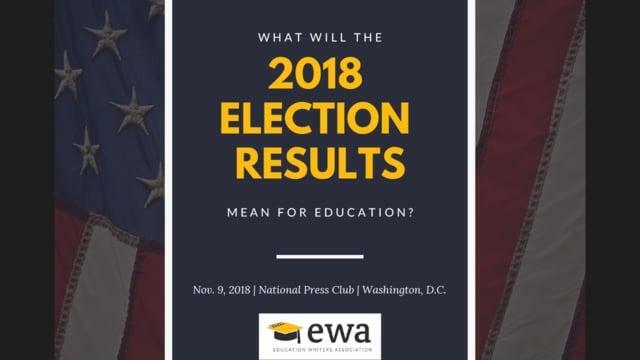 Post-Election Video: What’s Next for P-12 Policy, Politics and Funding? Every year, the U.S. Department of Education investigates thousands of school districts and colleges around the country for civil rights violations. The issues include racial discrimination in school discipline, sexual violence on campus and inequitable access to advanced coursework, to name a few. What should journalists know before diving into this notoriously messy data? What are some tips for using the data as the backbone of local news stories? 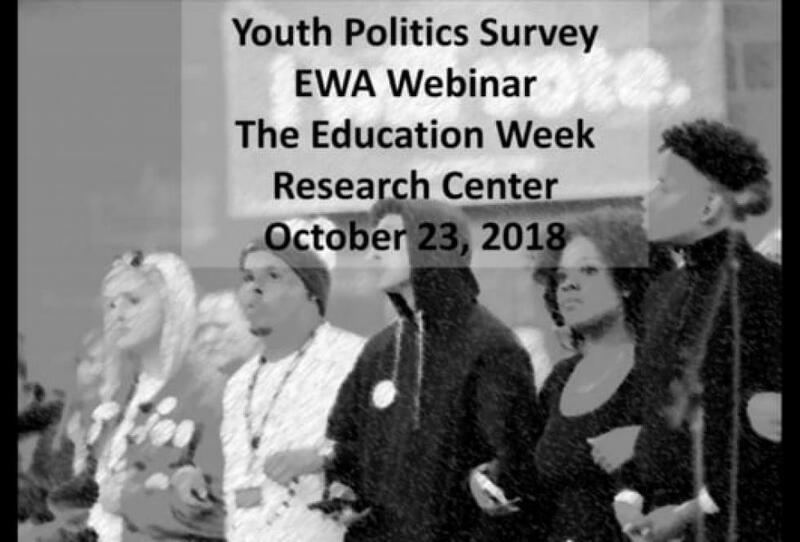 The Education Writers Association is pleased to announce its sixth class of EWA Reporting Fellows as part of the organization’s ongoing efforts to support enterprising journalism projects on education. Persistent inequities in education—along lines of race, ethnicity, and socioeconomic status—are sparking renewed efforts to upend conventional practices in public education. Fostering more “student-centered” learning. Reducing segregation in schools and classrooms. Revamping school funding formulas. Promoting more equitable access to high-quality teachers and challenging coursework. Rethinking student discipline. The list goes on. EWA Needs Your Help: Update Your Member Profile Today! If you value EWA and the services we provide, please take two minutes to help us with a critical project. Update your profile today! This will help US better serve YOU. If you’re ready to act, click this button. Read on more for information.